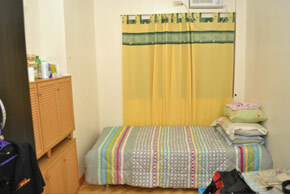 Lodging is available for our foreign as well as local students. Affordable sharing living quarters and apartments are located in the immediate vicinity of Plaridel Airport, Plaridel Bulacan. This may be availed by trainees who fly daily and regularly in order to save on travel time from Manila to Plaridel or vise versa due to heavy traffic enroute. Male quarters are separate from female quarters. These areas are mare to the church, market, hospital and mall.